The way to reach Deoria Tal is quite easy. All you need to go through the 2 km trek whose starting point is Sari village situated on Guptkashi-Gopeshwar road. 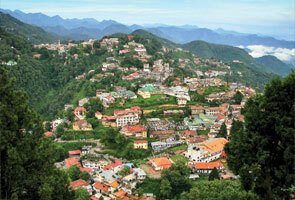 It is located at an elevation of 2,438 mts above sea level and surrounded by forests. Here you can get the outstanding view of Chaukhamba peak in the crystal clear water of Deoria Tal that must be captured by your camera. The place has well-known reorganization as sidha peeths and has very crucial religious importance. 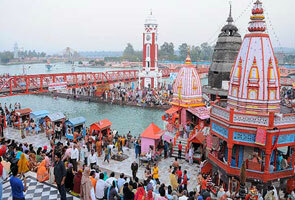 The temple is dedicated to Goddess Kali and you can find the massive crowd here at the time of Navratras. As Gopeshwar town is the administrative headquarters of Chamoli district thus you can find the fabulous view of Chamoli from this place. There are so many tourist spots are here to visit such as Vaitarni kund, ancient temple of Lord Shiva, Great Himalayas view that attracts a majority of customers every year. Gaurikund has very special religious importance. It is assumed that Lord Shiva agreed to marry with Goddess Parvati at this place and later married with her @Trijuginarayan. The place is situated only 50kms away from Chopta but if you’d like to go from eh Kedarnath then you can reach to this place with a simple 14kms trek. Probably you’ve heard about this place as it has reorganization as one of the holiest pilgrims of India. 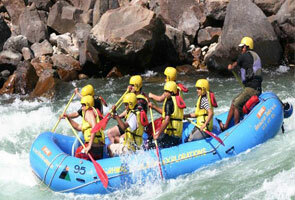 The place is especially dedicated to Lord Shiva and located at an elevation of 3,584 mts above sea level. As per the Mythology, Pandavas wanted to come out from their sins as they killed their own brother during Mahabharata war and therefore they’d like to meet with Lord Shiva. But Lord Shiva was very much angry on him and didn’t want to bless them thus he converted himself into big bull and hid himself under the ground. 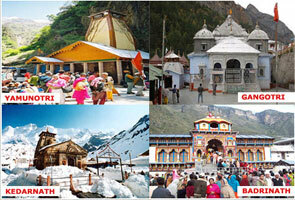 The place comes amongst twelve Jyotirlingas and thus hub of tourist every year.